Home Screenshot from the Award Winning Top Debt Negotiator Business David I Pankin, P.C. Go to David I Pankin, P.C. 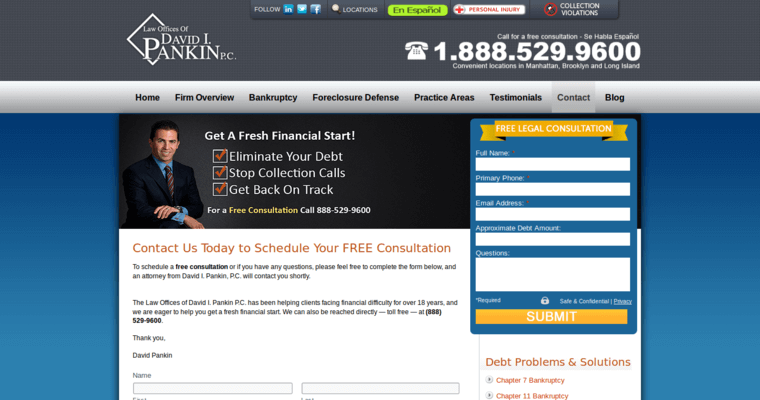 Locations Screenshot from the Award Winning Best Debt Negotiator Agency David I Pankin, P.C. Contact Screenshot from the Award Winning Leading Debt Negotiator Firm David I Pankin, P.C. 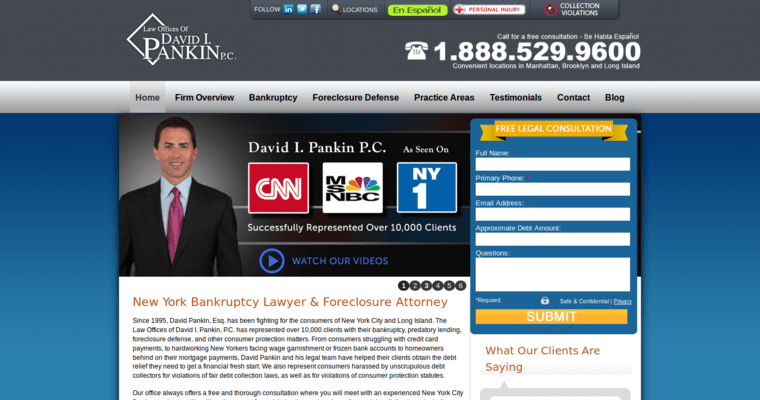 The Law Offices of David I. Pankin focuses on restoring its clients back to financial freedom. For over 18 years, the firm has been representing clients' legal issues ranging from bankruptcy to medical malpractice. 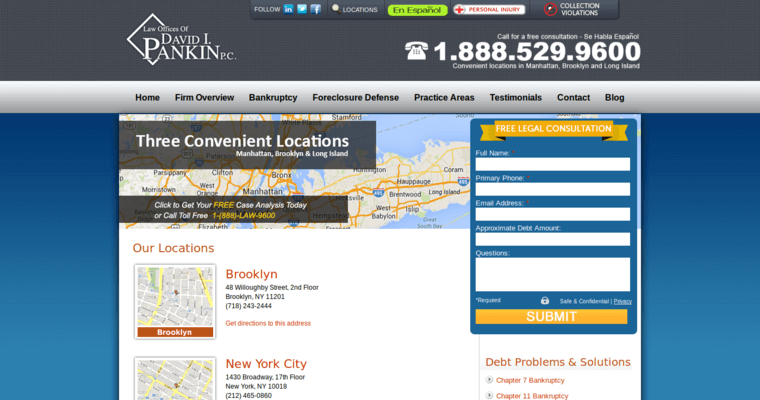 With law offices in Manhattan, Brooklyn, and Long Island, David I. Pankin and his legal team are able to provide effective legal representation and individualized attention. Consumers struggling with financial matters may have options to obtain the debt relief that they need. If bankruptcy is a viable option, the law office will be sure to provide you with the necessary services to help you rebuild and reestablish your financial freedom. If you are struggling financially, The Law Offices of David I. Pankin will pursue the best legal obligations that will allow you a fresh start. Learn More about David I Pankin, P.C.